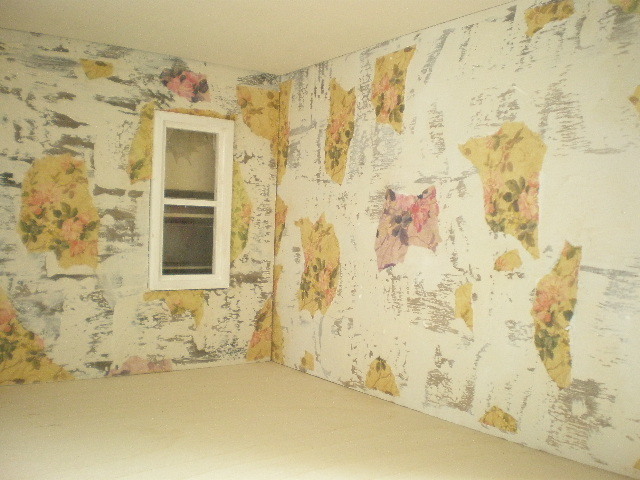 I put the bits of ripped wallpaper on the Kotton Kandy house walls. 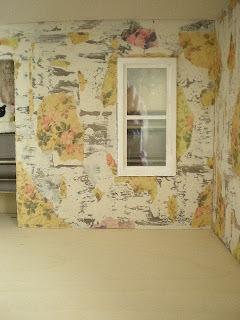 I used white glue with a little water to stick it on. The paper is a nice dark cream color. So it already looks antiqued. 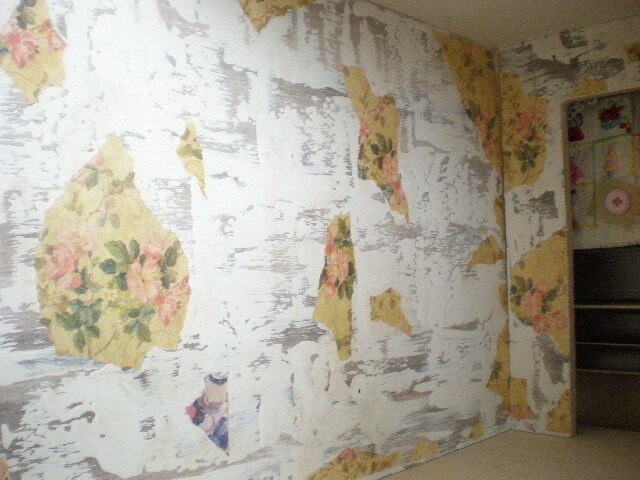 It's a very romantic wallpaper pattern with pink roses. I got the paper off the internet and printed it out in a small scale. 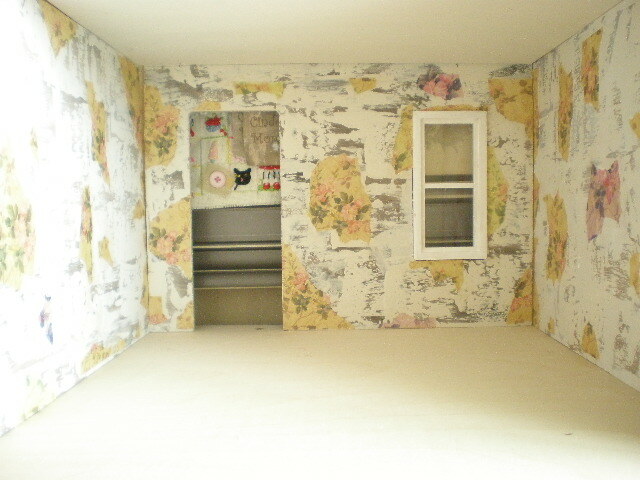 I have done my ceiling and top moldings. I'll share those tomorrow. Oh sweetie I just love this! So pretty and romantic. I am a new fan. Verdaderamente es muy original y ademas precioso, se ve tan bonito!!! !